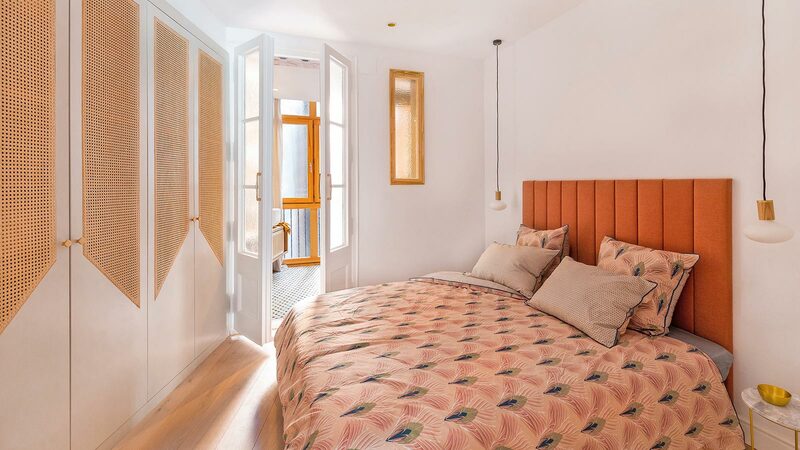 One of the latest projects in which PORCELANOSA Grupo has participated in takes us to Puerta del Sol, in the heart of Madrid. 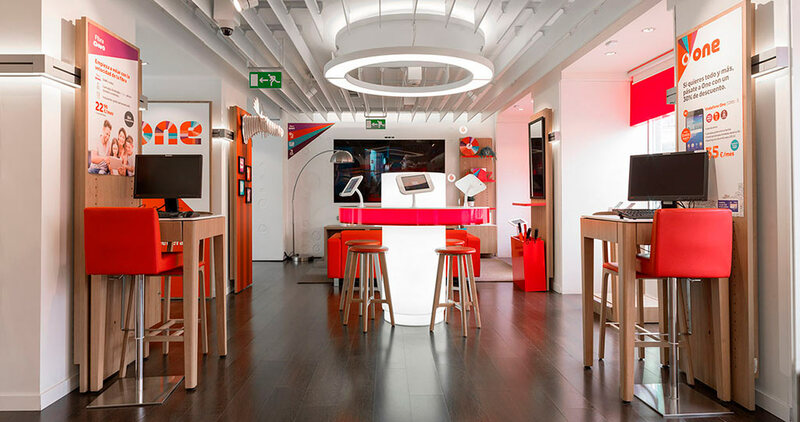 There, at number 13, the flagship store of the communication company, Vodafone, is located, a commercial premises with avant-garde design in a prime location. 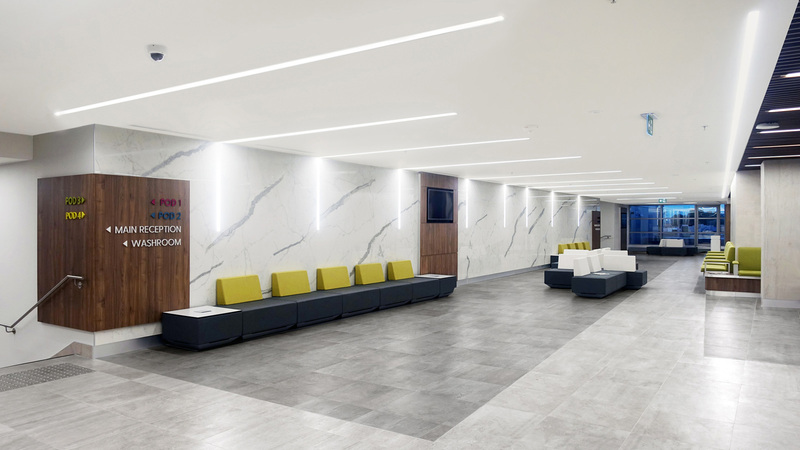 The KRION® Solid Surface compact mineral was the material chosen to carry out the interior design for this innovative premises. A high purity acrylic stone which was used to design both the horizontal and vertical wall tiles in the store and the furniture. 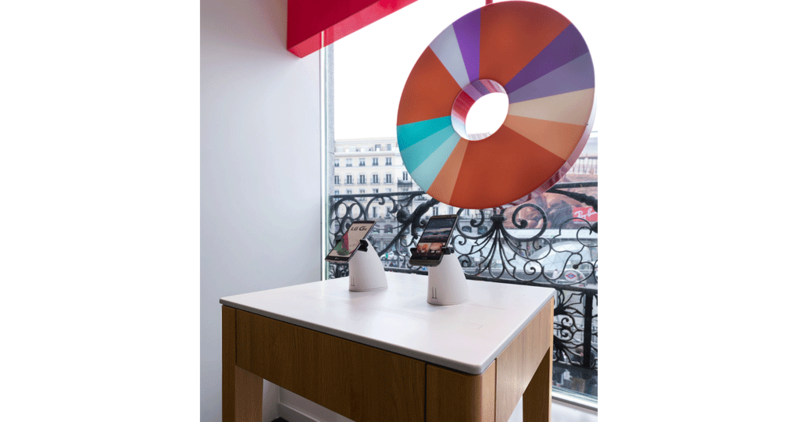 Thanks to its thermocurvable property and that of being capable of giving any type of design meaning, the KRION® acrylic stone was the main attraction in the 3G Office design studio, ensuring a complete innovative design in the flagship store. 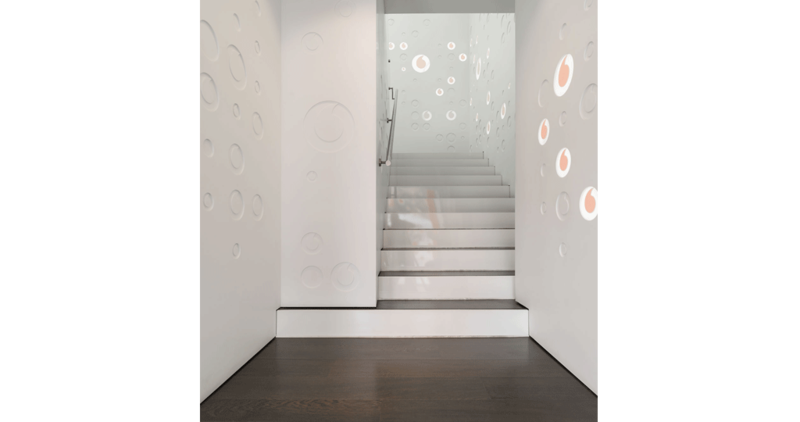 In addition, due to its technical characteristics, KRION® ensures high resistance and easy maintenance, thanks to its guarantee of durability and suitability for high traffic spaces. 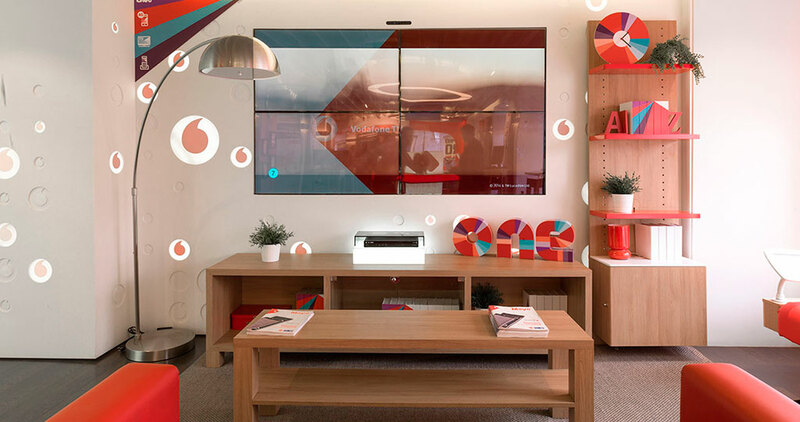 It should be noted that the PORCELANOSA Grupo Solid Surface has met with all 3G Office’s expectations when designing this busy flagship store for Vodafone. Its wall tiles and exclusive furniture are provided with uniqueness. 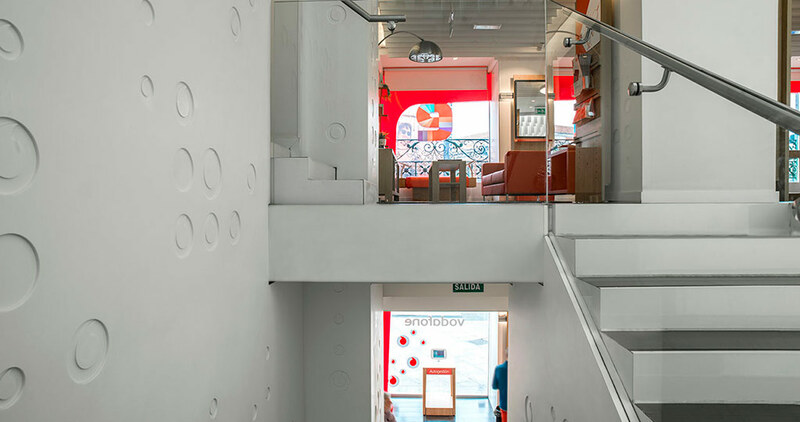 These highlight the technological and futuristic character of the flagship store in pure white and the corporate colour red. 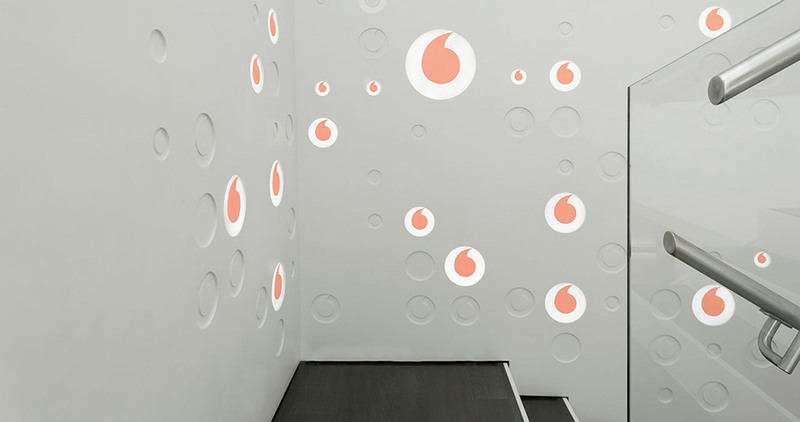 It is necessary to highlight the particularities of the walls in KRION®, low relief mechanized underneath and illuminated by Vodafone through building automation, achieving the creation of a luminously warm atmosphere with the company’s logo as the main attraction. 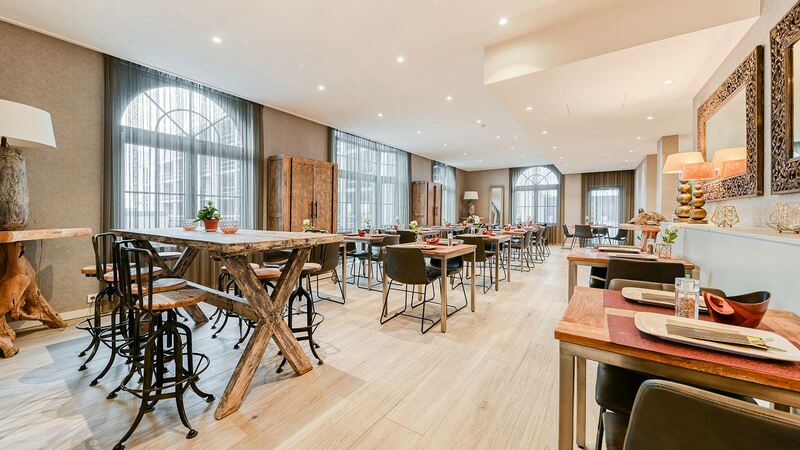 This environment also combines the floor tiles in a special way, which are also from the PORCELANOSA Grupo: AC4 Natural 1L Ebano 19.3×128.2×0.8cm laminate flooring from L’Antic Colonial. 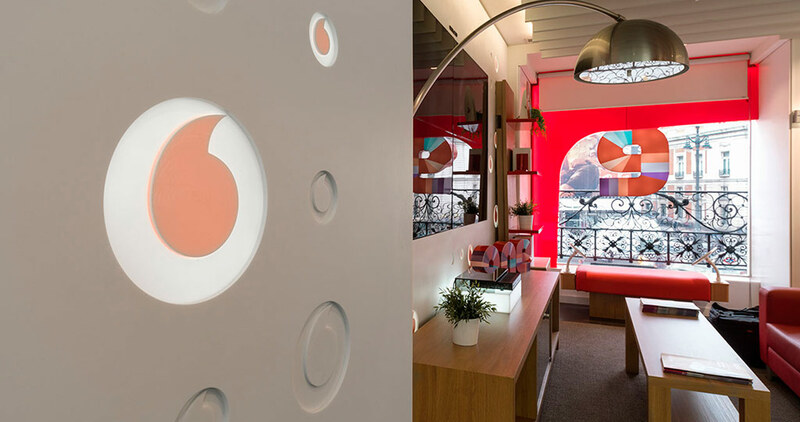 The Vodafone Group is an innovative company, recognized worldwide for its advances in communication. It is at the forefront and this is extended to all the values of the brand, taking care of every detail of its image and those of its stores around the world. 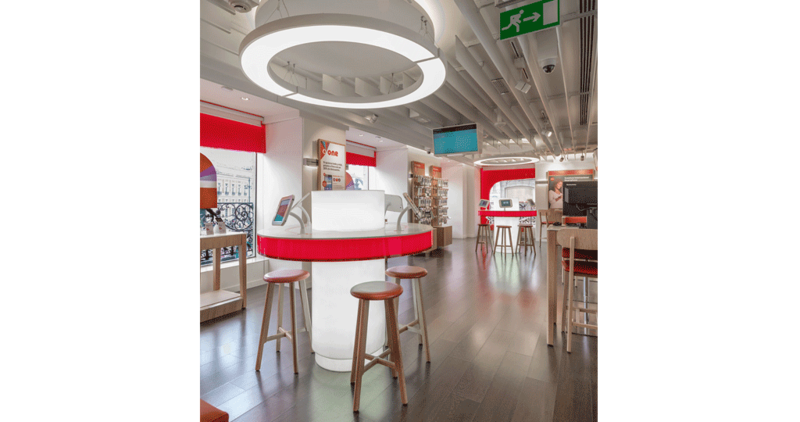 Therefore, Vodafone Group relies on the materials from the PORCELANOSA Group for the design of its emblematic flagship store in Madrid. This is synonymous with innovation and a future guarantee.